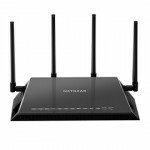 The Arris SB8200 and the Netgear CM1000 are the early adopters of the new DOCSIS 3.1 technology (along the Zoom Motorola MB8600, which was released only a couple of months ago), offering bonding of up to 32 download channels and 8 upload channels and each of these devices promise to give you the possibility of using the fastest speed plan available from your Internet service provider. 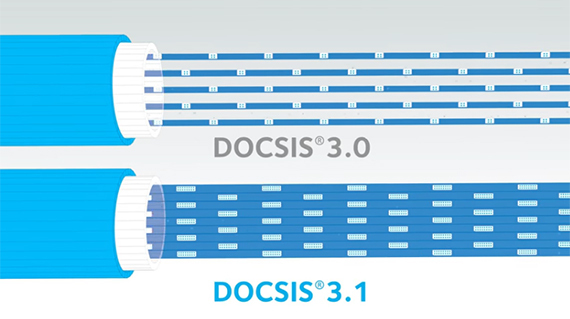 The DOCSIS 3.1 standard was developed as an alternative to the Fiber technology and, at the moment, it support at least 10Gbps for downstream and 1Gbps for upstream (using 4096 QAM), so people got very excited and expected that these cable modems could (or would) actually reach those speeds (and no, the manufacturers did not help to alleviate the hype with their inflated numbers on the box). In truth, there aren’t many people who get access to 1Gbps download speed data plans and neither the Netgear CM1000 or the Arris SB8200 can break the Gigabit barrier for the usual consumer (the SB8200 can do it with link aggregation, something that probably won’t be available outside business or enterprise data plans). 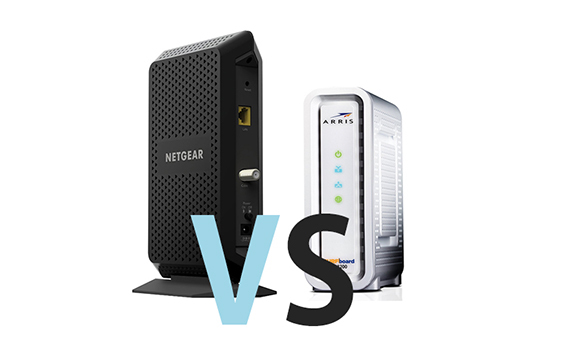 That being said, both the Arris SB8200 and the Netgear CM1000 will offer some relief in areas with lots of congested nodes and will deliver a seamless Gigabit performance to those that can afford it, so let’s see which is the better cable modem. Note: You can also check out the individual analysis of each cable modem here: Arris SURFboard SB8200 DOCSIS 3.1 and Netgear CM1000 DOCSIS 3.1. As usual, Arris has adopted pretty much the same design pattern as the last three generations from SURFboard family, featuring the expected white plastic case which is covered by a matte finish. 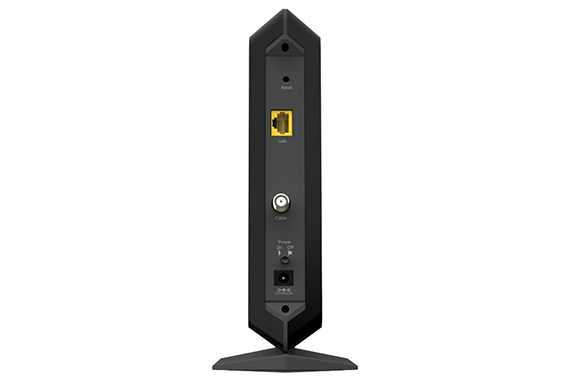 The edges have remained rounded and the thick plastic band is still wrapping around the rectangular central piece, so, overall, the SB8200 is hardly distinguishable from the previous generations of Arris cable modems. The Netgear CM1000 also retains much of its predecessor’s design lines, but it has also added some new key improvements which sets it apart from the bunch. Therefore, the CM1000 has a polyhedron-shaped case (similarly to a radiant-cut gemstone), covered by a black matte finish and with slightly curved edges. While Arris SB8200 still has that cheerful appearance, with its coloured LEDs shining on the white plastic (the LEDs are less bright so no backlight bleeding this time), the Netgear CM1000 takes a more serious stance and manages to be the more elegant device. 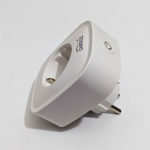 Furthermore, Netgear took very seriously the possibility of overheating (which is a common occurrence with any powerful device) and has almost completely covered the CM1000 with small triangular cut-outs. This has definitely improved a lot the airflow and it manages to keep the device surprisingly cool. Arris has also taken some precautions to ensure a proper ventilation and, similarly to the CM1000, it has covered the SB8200 with lost of cut-outs which should improve the airflow (despite that, the SB8200 runs a bit warmer than the CM1000). To prolong the life of any of the aforementioned cable modems, be aware not to obstruct the ventilation holes (don’t lay them on a side and don’t put them too close to a wall) and, while the SB8200 can be mounted on the wall, I would advise against it, since, this may impede the air circulation. One important differentiating factor is the size of these modems: the SB8200 is small and compact, measuring 5.24 x 5.24 x 1.65 inches and, while, it isn’t a heavy device (it weighs 2.1 lbs), the four rubber feet help a lot from keeping the modem from budging. 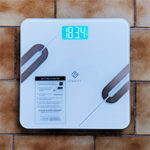 The CM1000 is taller (it measures 8.8 x 5.4 x 5.9 inches), it is lighter than the SB8200 (weighs 0.84 lbs), which means that it can be knocked off the table easily (despite its stand, which should add a bit to the stability of the device), so you need to be careful where you position it. Now, on the front of the SB8200, you can find four LED indicators which show the status of the Power, Receive (green – DOCSIS 3.0 / blue – DOCSIS 3.1), Send (same as the Receive LED) and Online. The front of the Netgear CM1000 is also home to some status LEDs: Power (red indicates that the modem may overheat), Downstream, Upstream, Internet (blinking means that the device is synchronizing with the CMTS) and Ethernet (green – a 1000 Mbps connection / solid amber – a 10/100 Mbps connection). 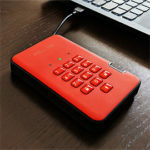 On the back of the CM1000 you can find all the required ports and buttons: a recessed Reset button, a LAN Gigabit Ethernet port, the coaxial cable connector, the Power button and the Power adapter input. The rear side of the SB8200 is slightly different since, while it features the expected recessed Reset button, the Coaxial cable connector and the Power port, it also features two Ethernet ports, each with two LEDs (amber signifies a 10/100 Mbps data connection and green indicates a GigE data connection). Right now, you won’t really be able to take advantage of the second Ethernet port, but, in the future, it has the potential of supporting speeds up to 2Gbps versus the maximum 1Gbps of the CM1000 (using the link aggregation), it can also act as a failsafe system or connect two separate devices at the same time. Verdict: Usually, a networking product is defined more by its features, functionality or practicality and less about its design, but, in the consumer market, the external look of a device can be a key differentiating factor. 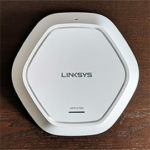 Thankfully, both cable modems excel at this chapter and choosing the better looking one would be just a matter of taste. Furthermore, both routers have a good heat management, and all the necessary ports, buttons and indicators, but, since Arris SB8200 has a second Ethernet port, which opens up the possibility of higher speeds from the ISP (via link aggregation), it wins this round. Inside the case, Arris SB8200 is equipped with a Broadcom BCM3390 chipset, 128 MB / 16 MB of flash memory and 3 GB of RAM. Netgear has also equipped the CM1000 with a Broadcom BCM3390 chipset, 128 MB of flash memory and 256 MB of RAM. It’s nice to see that both Arris and Netgear have gone past the Intel Puma chipset line (especially the Puma 6) and have used a Broadcom-based chipset this time (this choice has removed any possible latency issues which plagued the previous models, both Arris SB6190 and CM700). All this internal hardware coupled with the DOCSIS 3.1 technology can make anyone excited about the potential of any of the two modems, but, despite the promised ‘Download speeds up to 5Gbps*’ largely written on the box, the output of the SB8200’s Gigabit ports can only go up to 2Gbps combined (clarified in smaller fonts towards the bottom of the box). The usual user will not see a download speed greater than 1Gbps and the only way to actually reach 2Gbps is through link aggregation (something that may only become available for business owners). Just like Arris, Netgear CM1000 has also written ‘up to 5Gbps’ on the box and clarified underneath in smaller fonts that the device can only reach 1Gbps because of port limitations. Verdict: Both cable modems use a Broadcom chip, which makes them invulnerable to the latency bug, but Arris seems to be slightly better equipped so it wins this round. In terms of compatibility, both the Arris SB8200 and Netgear CM1000 are compatible with Comcast (using the Xfinity service) and Cox, while Charter seems to take longer than usual to add either cable modems to their list of compatible devices (possibly because of the fusion with Time Warner and Bright House – you’ve got to love monopolies). 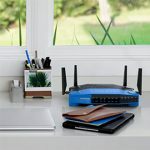 While, at the moment it seems that only two ISPs will allow you to use the cable modem to its full potential, it is important that, before purchasing any cable modem, to check with your cable provider (call them or check the website list) to see if the modem is supported or if there are any speed caps which may apply. Furthermore, because the price of either cable modems is rather high right now, some may argue that it’s better to give in and go with renting the device for a monthly fee. This isn’t really a bad advice since it will indeed feel better financially in the short-term and ISPs will definitely be more receptive to any problems with the connection and, if any update becomes available from the manufacturer, the modem will be updated pretty fast. On the other hand, even if the cost is rather steep, you would still recover the investment in about a year and a half (and this type of modem tends to stick around for more than that), but be aware that cable providers will not like this choice and will be less receptive in case of any connection problems (also, updates will be a lot slower). In order to fully take advantage of the DOCSIS 3.1 technology, it is required a Gigabit+ data plan and right now, even the 1Gbps tier is something exotic, but it is slowly being implemented to a larger scale (in a couple of years it will also become truly affordable). That’s why, you should expect 1Gbps downstream and that’s pretty much the maximum you can get using either of the two cable modems: I tested both the SB8200 and the CM1000 and I measured an average speed of 950 Mbps on each device. It’s true that not many people will be able to take advantage of a Gigabit data plan (for now), but a 32×8 modem can also make a difference if you live in an area with congested nodes, even if you have a lower data plan from your ISP. 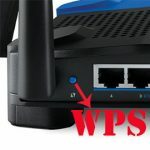 Lastly, be aware that neither of the two cable modems has built-in WiFi capabilities and you will need an additional wireless router to be able to connect WiFi devices to the Internet. Verdict: No matter if you choose to go with the Arris SB8200 or with Netgear CM1000, right now, the speed performance will be the same, so this round is a tie. Sure enough, in the future, things can change for the better for Arris and the SB8200 may be able to reach up to 2Gbps. 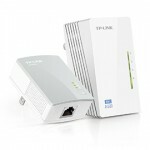 The hardware installation of either the SB8200 or CM1000 requires adding a coaxial cable from the wall outlet to the modem, attaching the power adapter and using an Ethernet cable for connecting the modem to a computer in order to start the activation process and further configure the device. Of course, if you use Comcast XFinity, the activation is done automatically for both modems, otherwise, you’ll need to call your ISP and provide the necessary info. 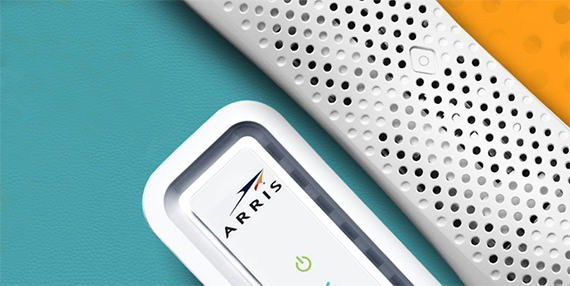 After your modem is live, both Arris and Netgear offer a web-based utility to view the status of your connection or to make some further modifications. To access the web utility of either SB8200 or CM1000, go to https://192.168.100.1 and each modem will have its set of options. 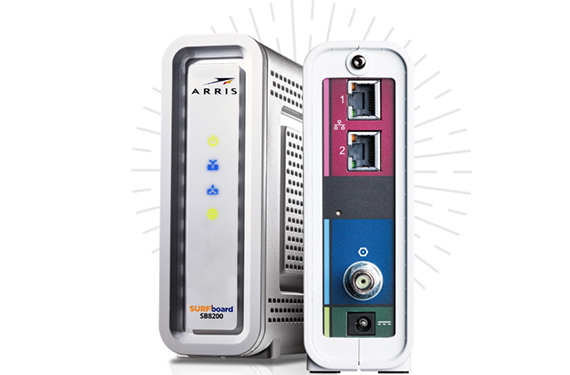 Arris will grant you access to the Status screen (Startup Procedure and the Downstream and Upstream Bonded Channels), the Product Information, the Event Log, the Addresses, Configuration and Help. 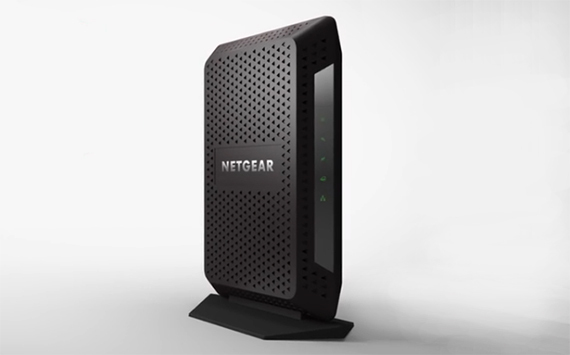 Netgear has its interface divided into Basic (Home and Cable Connection) and Advanced options (ADVANCED Home and Administration). Using the SB8200 modem, if you go to 192.168.100.1:8080 and enter admin for user name and password for password (while using Google Chrome or Safari), you gain access to a Spectrum Analyzer, which is a very useful tool for identifying immediately any possible modem issues. 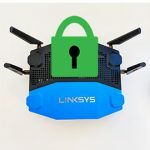 Verdict: Both cable modems can be easily activated and both provide its users a quick way to view the status of the device and connection through a web-based application, but, since Arris is equipped with a Spectrum Analyzer, it wins this round. After the Intel Puma 6 mess, it was a relief to see that two major manufacturers equipped their DOCSIS 3.1 cable modems with a Broadcom chipset (Zoom also went this route), so there isn’t much to criticize right now (maybe the price and the weird 5Gbps promises). 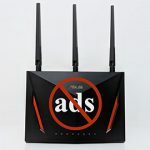 Overall, both modems are well built and have an attractive design, both will handle a 1Gbps data plan and each of these devices will give you access to a user-friendly web interface. 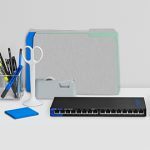 But, while Arris and Netgear, each has built a future-proof cable modem by adopting the DOCSIS 3.1 technology, the SB8200 has some features that sets it apart and makes it the better device on the long run: the two Ethernet ports which can use link aggregation and the Spectrum Analyzer. How does the Motorola – DOCSIS 3.1 Cable Modem – Model MB8600 compare to these? 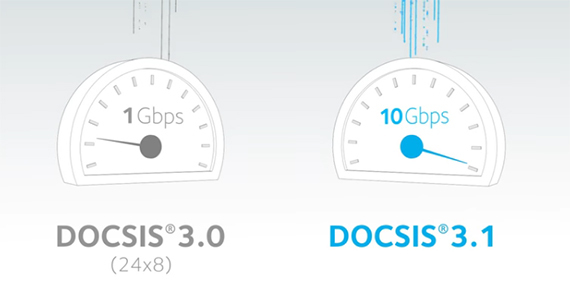 I see that it is the newest 3.1 now available on market and that it also has 32×8 support for the older DOCSIS 3.0 standard. I didn’t do much research prior to my purchase, but I went with the CM1000 and haven’t really had any complaints yet. It has been pretty solid thus far. It’s also slightly cheaper (as of today anyways).